At Yoder & Company, we focus on building close client relationships that add long-term value. Planning for the future needs of individuals is an important part of our consulting service. Because many decisions are influenced by taxes as well as other factors, you will see certain types of planning discussed in Yoder & Company's services for Tax, Consulting and Estates & Trusts. Yoder & Company’s advisory services are designed to help our clients take command of their personal and business affairs. Strategies should be reviewed periodically to ensure changes are incorporated as appropriate. 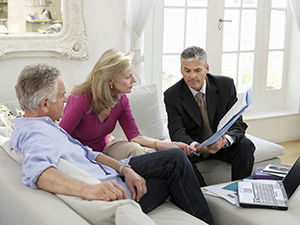 Estate & Trust planning. Effective estate and trust planning can ensure financial security for loved ones and a smooth transfer of property. Yoder & Company's role is to help you navigate the complex and shifting tax laws to minimize taxes, avoid complications and ensure your wishes are followed. Having your estate thoroughly and carefully planned will ensure that your loved ones don't have estate issues to deal with during a time of loss. See the Estates & Trusts service for additional ways we assist the administrator or trustee of an Estate or Trust. Retirement planning. Yoder & Company's goal is to help you reach your financial goals and maintain financial independence through a comfortable retirement. In addition to any retirement plans offered by employers, you may set up an Individual Retirement Account (IRA and Roth-IRA). Planning for your future needs includes many unknown variables such as your health, inflation, interest and bond rates, and the economy. Determining the future value of money and investments is uncertain because it is based on assumptions. 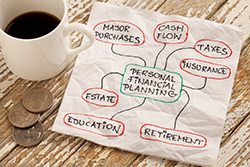 There are many different vehicles and strategies that make up a total retirement plan. We can recommend professionals with skills needed beyond our services. 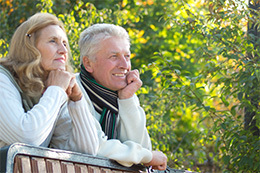 The road to retirement is a long one and we can help you to take the proper steps to reach your goals. Educational planning. Planning and saving for your children's education should start when they are very young. Inflation and rising costs of student loans and tuition must be considered over a long period of time. If you start saving early, you can benefit from compounding interest, rising stock market values over time, and tax-free vehicles. If structured correctly, a 529 plan may provide many of these benefits and allow grandparents and other relatives to contribute. Compensation & Benefit analysis. Decisions relating to various forms of compensation and benefits include tax planning, career opportunity analysis and comparison with other job offers with different compensation and expense reimbursement packages. We can assist you when considering incentive programs such as if and when to accept or exercise stock options, and various other forms of compensation and benefits available instead of or in addition to salary. Career Decisions. When considering a new job offer, relocating to another city, taking a sabbatical, or changing careers, there are economic and family considerations. It is necessary to analyze the pros and cons associated with relocation costs, selling and buying a home, disruption of a spouse's career and other issues. Conversations with your accountant can help you decide.